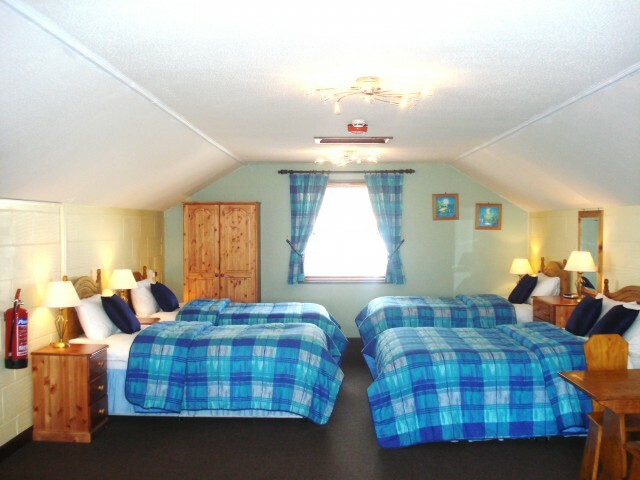 Very large (13m x 5m) en-suite annexe room ideal for families with up to 3 children. One double and three single beds, fridge and microwave, dining table and lounge area. Large Freeview television, hospitality tray, toiletries, hair dryer and clock/radio. Free Wi-Fi access available. Non-smoking.